This is a third PDP-11/40 that I acquired in early 2007. It is in the shorter H967 rack. 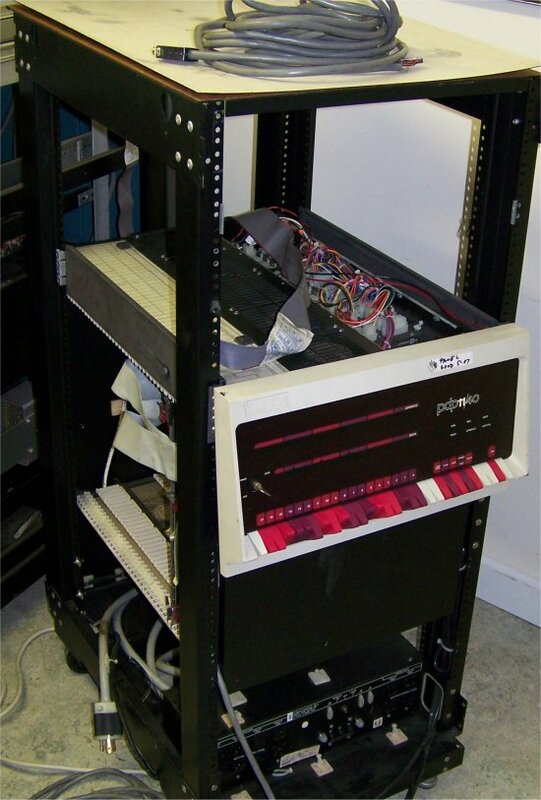 When I acquired the rack, it had the 11/40 power supplies and an 11/40 backplane. I repaired some wires that had been cut (apparently when someone removed the front panel), and installed a working front panel and a working CPU board set. It runs fine, and is currently configured with an 11/40 CPU and 64k words of semiconductor memory.